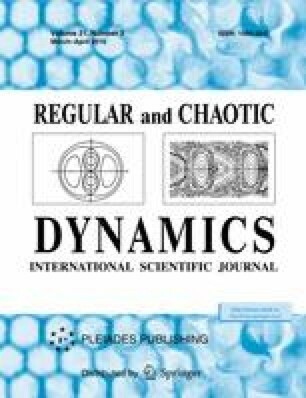 The onset of adiabatic chaos in rigid body dynamics is considered. A comparison of the analytically calculated diffusion coefficient describing probabilistic effects in the zone of chaos with a numerical experiment is made. An analysis of the splitting of asymptotic surfaces is performed and uncertainty curves are constructed in the Poincaré–Zhukovsky problem. The application of Hamiltonian methods to nonholonomic systems is discussed. New problem statements are given which are related to the destruction of an adiabatic invariant and to the acceleration of the system (Fermi’s acceleration).